Frederick Christopher Klein  (born March 14, 1979) is an American actor who is best known for playing Chris 'Oz' Ostreicher in the American Pie comedy teen films, and (more recently) Orlin Dwyer / Cicada in The Flash . 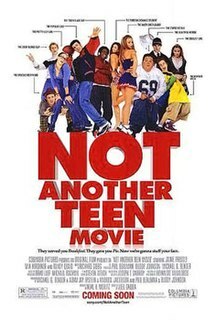 Teen film is a film genre targeted at teenagers and young adults in which the plot is based upon the special interests of teenagers and young adults, such as coming of age, attempting to fit in, bullying, peer pressure, first love, teen rebellion, conflict with parents, teen angst or alienation. Often these normally serious subject matters are presented in a glossy, stereotyped or trivialized way. For legal reasons, many teenage characters are portrayed by young adults. Some teen films appeal to young males while others appeal to young females. Cicada is a fictional DC Comics supervillain. The character first appeared in Flash (v.2) #171 and was created by Geoff Johns and Scott Kolins. Klein was raised in Brookfield, Illinois. He is of German, Irish, and English descent. His mother, Terese (née Bergen), is a kindergarten teacher, and his father, Fred Klein, is an engineer. Klein was the second of three children. His older sister, Debbie, was born in 1978 and his younger brother, Timothy, was born in 1982. As a child, Klein had his first on stage experience by singing This Little Light of Mine in a community theater at the Sheraton Convention Center in Chicago. He lived in the town for thirteen years before his family moved to Omaha, Nebraska. At Millard West High School in Omaha, Klein acted in his high school's performance of West Side Story , played cornerback and linebacker for the football team, and swam on the Millard West Swim Team. In his senior year, Klein was offered his first professional acting job by director Alexander Payne, who was scouting Omaha, his hometown, as a potential filming location for the film Election . He attended Texas Christian University (TCU) in Fort Worth, Texas. Brookfield is a village in Cook County, Illinois, United States, located 13 miles (21 km) west of downtown Chicago. Its population was 18,978 at the 2010 census. The city is home to the Brookfield Zoo. After auditioning for Election , Payne chose Klein and they began filming. The film was released in April 1999 to positive reviews. 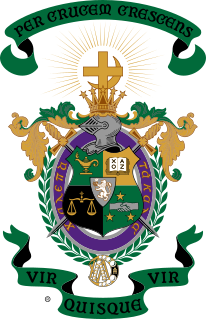 Soon after, Klein found a steady amount of work in the film industry while briefly attending TCU, where he studied theater and was a member of the Lambda Chi Alpha fraternity. He was next seen in American Pie , acting as Christopher Russell Ostreicher, which opened on July 9, 1999, and was a box office success. The following year Klein starred in Here on Earth alongside LeeLee Sobieski and Josh Hartnett (2000). Klein reprised his role in American Pie 2 (2001) and American Reunion (2012), but was not in American Wedding reportedly due to scheduling conflicts. In 2002, Klein had a role in the Mel Gibson Vietnam War film We Were Soldiers . Klein starred in the 2002 remake of the film Rollerball , but the film was a massive critical and financial failure. Klein has also appeared in several teen movies, including Just Friends (2005) and American Dreamz (2006). Election is a 1999 American black comedy-drama film directed and written by Alexander Payne and adapted by him and Jim Taylor from Tom Perrotta's 1998 novel of the same title. The plot revolves around a high school election and satirizes both suburban high school life and politics. The film stars Matthew Broderick as Jim McAllister, a popular high school social studies teacher in suburban Omaha, Nebraska, and Reese Witherspoon as Tracy Flick, around the time of the school's student body election. When Tracy qualifies to run for class president, McAllister believes she does not deserve the title and tries to stop her from winning. Kaley Christine Cuoco is an American actress and producer. After a series of supporting film and television roles in the late 1990s, she landed her breakthrough role as Bridget Hennessy on the ABC sitcom 8 Simple Rules, on which she starred from 2002 to 2005. Thereafter, Cuoco appeared as Billie Jenkins on the final season of the television series Charmed (2005–2006). 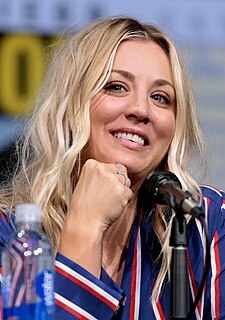 Since 2007, she has starred as Penny on the CBS sitcom The Big Bang Theory, for which she has received Satellite, Critics' Choice, and People's Choice Awards. Cuoco's film work includes roles in To Be Fat like Me (2007), Hop (2011) and Authors Anonymous (2014). She received a star on the Hollywood Walk of Fame in 2014. In October 2017, Cuoco founded Yes, Norman Productions. In January 2000, Klein and actress Katie Holmes began dating. The couple became engaged around Christmas of 2003. The couple called off the engagement and ended their relationship in March 2005. Klein met Laina Rose Thyfault, a travel agent, in 2011 at a mutual friend's wedding. They got engaged in December 2014 after three years of dating and married eight months later on August 9, 2015 in Montana. In March 2016, Klein announced in a tweet that he and his wife were expecting their first child together. Their son was born in 2016. The couple also have a daughter, who was born in 2018. Kate Noelle Holmes is an American actress, producer, and director. She first achieved fame as Joey Potter on the television series Dawson's Creek (1998–2003). Drunk driving is the act of operating a motor vehicle with the operator's ability to do so impaired as a result of alcohol consumption, or with a blood alcohol level in excess of the legal limit. For drivers 21 years or older, driving with a blood alcohol concentration (BAC) of 0.08% or higher is illegal. For drivers under 21 years old, the legal limit is lower, with state limits ranging from 0.00 to 0.02. 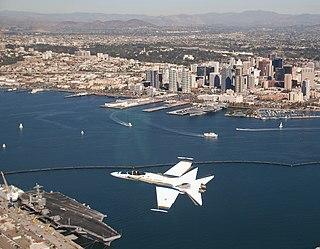 Lower BAC limits apply when operating boats, airplanes, or commercial vehicles. Among other names, the criminal offense of drunk driving may be called driving under the influence (DUI), driving while intoxicated or impaired (DWI), operating [a] vehicle under the influence of alcohol (OVI), or operating while impaired (OWI). 2002 The Electric Playground Episode: "Episode #8.5"
2006 American Dad! Gary/Rick (voice) Episode: "With Friends Like Steve's"
2010 The Good Guys Dep. Chief George Jenkins Episode: "Partners"
2012 Franklin & Bash Tommy Dale Episode: "650 to SLC"
2012 Raising Hope Brad Episode: "What Up, Bro?" 2015 Motive Brad Calgrove Episode: "Pilot Error"
2016 Idiotsitter Himself/DJ Doghead Episode: "Fumigation"
2016 The Grinder Benji Episode: "Genesis"
2001: Won, "Male Superstar of Tomorrow"
Rollerball is a 2002 remake of the 1975 science-fiction film of the same name. It stars Chris Klein, Jean Reno, LL Cool J, Rebecca Romijn, and Naveen Andrews. It was directed by John McTiernan and has a much greater focus on action, with more muted social and political overtones than the original. Unlike the previous film, it takes place in the present rather than in a future dystopian society. 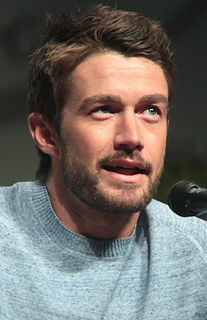 Robert Earl Buckley is an American actor, known for his roles as Kirby Atwood on NBC's comedy-drama series Lipstick Jungle and Clay Evans on The CW's teen drama series One Tree Hill. Buckley also starred as Brian Leonard on ABC's horror drama series 666 Park Avenue, and has portrayed Major Lilywhite on The CW's comedy-drama series iZombie since 2015. Lucky 13 is a 2005 American romantic comedy film directed by Chris Hall and starring Brad Hunt, Harland Williams, Lauren Graham, Sasha Alexander, Debra Jo Rupp, John Doe, Kaley Cuoco and Taryn Manning. Ryan Sweeting is a former professional tennis player. The Hollow is a 2004 teen horror film, starring Kevin Zegers, Kaley Cuoco, Nick Carter and Stacy Keach. The film premiered on the ABC Family Channel, on October 24, 2004. Christopher Chace Crawford is an American actor, known for his portrayal of Nate Archibald on The CW's teen drama series Gossip Girl (2007–12). He is also known for starring in the films The Covenant (2006), The Haunting of Molly Hartley (2008), Twelve (2010), and What to Expect When You're Expecting (2012). In 2015, he portrayed Billy LeFever in ABC's short-lived drama series Blood & Oil. Nikolina Konstantinova Dobreva, known professionally as Nina Dobrev, is a Canadian actress. Her first acting role was as Mia Jones in the drama series Degrassi: The Next Generation. She later became known for portraying Elena Gilbert and Katherine Pierce, along with two other characters on The CW's supernatural drama series The Vampire Diaries. Growing Up Brady is a 2000 American made-for-television biographical film based on the 1992 autobiography Growing Up Brady: I Was A Teenage Greg written by actor Barry Williams with Chris Kreski. Directed by Richard A. Colla, it starred Williams, Adam Brody, Kaley Cuoco, Daniel Hugh Kelly and Michael Tucker, and was originally broadcast May 16, 2000 on NBC. Brillstein Entertainment Partners is a talent management firm and television production company formed by the 1991 addition of Brad Grey to The Brillstein Company, founded by Bernie Brillstein in 1969. Judas Kiss is a 2011 U.S. drama film directed by J.T. Tepnapa and written by Tepnapa and Carlos Pedraza. It stars Charlie David, Richard Harmon, Sean Paul Lockhart, and Timo Descamps. The film is the story of a disillusioned filmmaker's visit to his peculiar alma mater, where he is trapped in a tug of war between his tortured past and a troubling future. Ellie Kanner, sometimes credited as Ellie Kanner-Zuckerman, is an American film and television director and former casting director. Authors Anonymous is a 2014 comedy American film directed and produced by Ellie Kanner. It stars Kaley Cuoco, Chris Klein, Tricia Helfer, Jonathan Banks, Jonathan Bennett, Teri Polo and Dennis Farina in his final film role. The film was released on March 18, 2014, through video on demand prior to its limited release on April 18, 2014, by Screen Media Films and Starz Digital. ↑ "'American Pie' star Klein to be arraigned". Usatoday.Com. 2005-04-14. Retrieved 2016-08-17. ↑ "Chris Klein Biography (1979-)". Filmreference.com. Retrieved 2016-08-17. ↑ August 01, 2001 (2001-08-01). "Bergen - tribunedigital-chicagotribune". Articles.chicagotribune.com. Retrieved 2016-08-17. ↑ "Rollerball (2002)". Box Office Mojo . ↑ Jeff Sneider (7 January 2014). "Chris Klein, Victoria Summer to Star in WWI Thriller 'The Uberkanone' (Exclusive)". The Wrap. Retrieved 18 February 2014. ↑ Jerrica Tisdale (15 February 2014). "Kaley Cuoco Plays Author in New Romantic Comedy with Chris Klein". Web Pro News. Retrieved 4 March 2014. ↑ Romano, Nick (21 July 2018). "The Flash season 5 casts American Pie's Chris Klein as the next big bad". Entertainment Weekly. Retrieved 21 July 2018. ↑ Hipes, Patrick; Hipes, Patrick (22 July 2018). "'The Flash' Casts Chris Klein As Season 5 Villain Cicada – Comic-Con" . Retrieved 13 January 2019. ↑ "Katie Holmes and Chris Klein Split Up". People.com. Retrieved 2016-08-17. 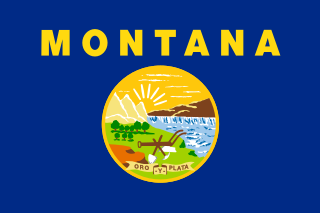 ↑ "American Pie Star Chris Klein Weds Laina Rose Thyfault in Montana". People. August 9, 2015. Retrieved August 9, 2015. ↑ Marquina, Sierra. "Chris Klein, Wife Laina Rose Thyfault Welcome First Child — See the Adorable Photos!". UsMagazine.com. Us Weekly. Retrieved December 25, 2016. ↑ Harrison, Lily (March 15, 2016). "Chris Klein Is Expecting His First Child With Wife Laina Rose Thyfault". E! Online . Retrieved April 5, 2016. ↑ "Chris Klein Welcomes Son". E! Online . July 27, 2016. ↑ "Chris Klein Faces Drunk-Driving Charge" Los Angeles Times, April 13, 2005. ↑ "'American Pie' Actor Chris Klein Arrested on DUI Charge." Los Angeles Times. June 16, 2010. ↑ "Chris Klein Checks Into Rehab" People . June 21, 2010. 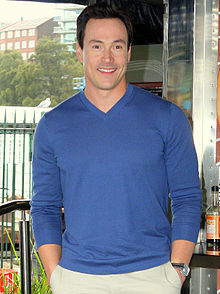 Wikimedia Commons has media related to Chris Klein .